Improving an already-winning formula of superb sound quality, huge power (including 128 note polyphony! ), a sleek compact chassis and a great price, the Yamaha MX49 Version 2 adds iPad, iPhone and iPod touch audio/MIDI class compliancy. It unlocks both the new FM Essential Synthesizer app and Steinberg's Cubasis app on iOS, and it easily fits into a home studio or live keyboard rig. 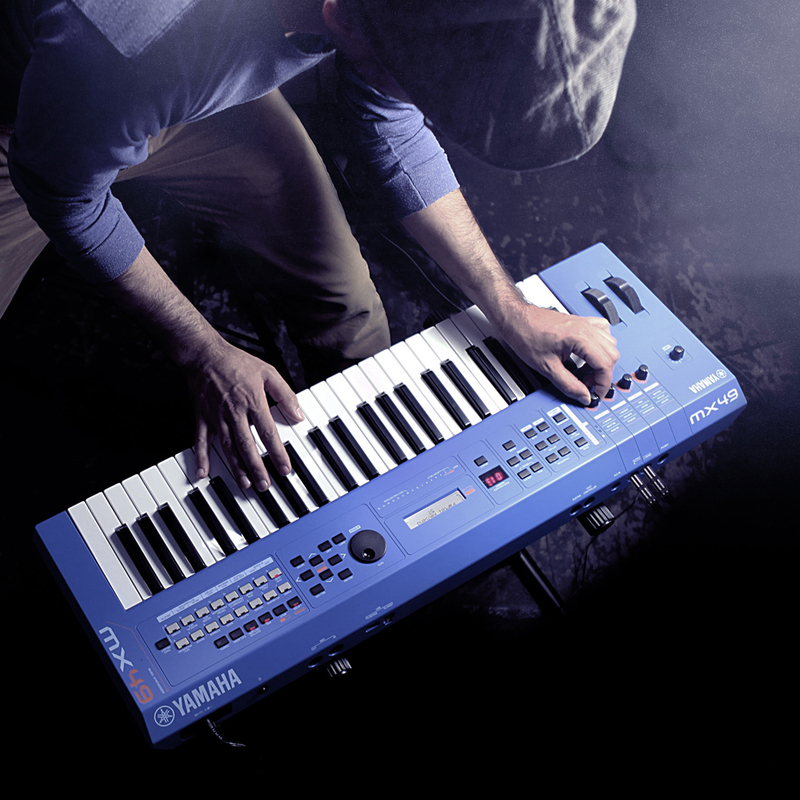 MX Series synthesizers feature carefully-selected sounds taken from the award-winning Motif XS. But the MX49 isn't just a synthesizer; it also bridges the gap between hardware and software. Its class-compliant USB audio/MIDI connection massively simplifies music production with your favourite DAW, whether you use macOS, iOS or Windows. 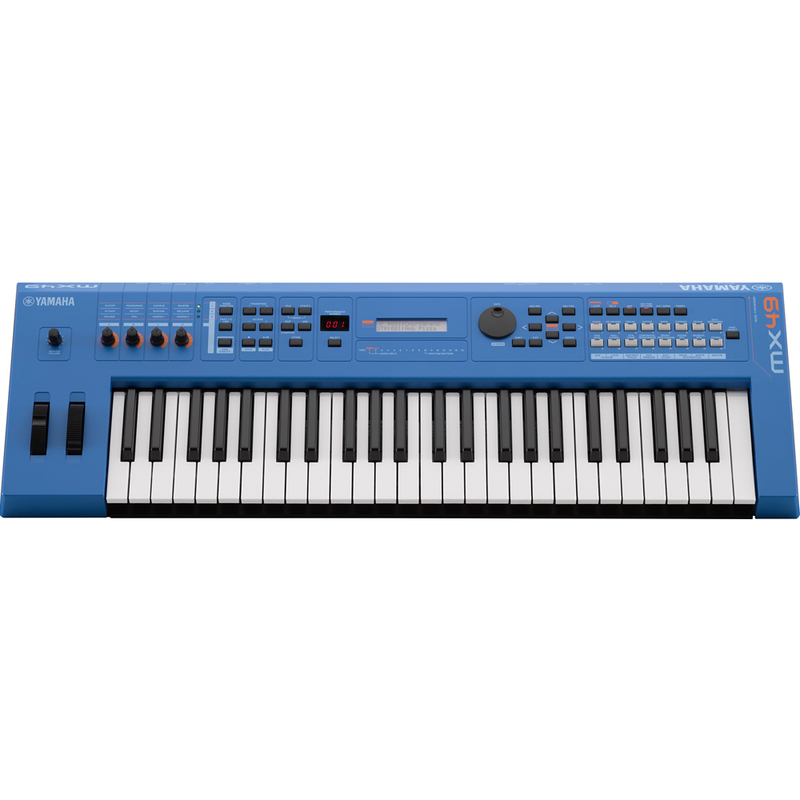 Handy DAW and VST controls are built into the MX49, perfect for using with the included software for macOS and Windows: Cubase AI, YC3B Organ Synthesizer VST and Prologue Analogue Synthesizer VST. And, for producers using iOS, the MX49 Version 2 will unlock both Steinberg's Cubasis app and our own FM Essential synthesizer app for iOS. 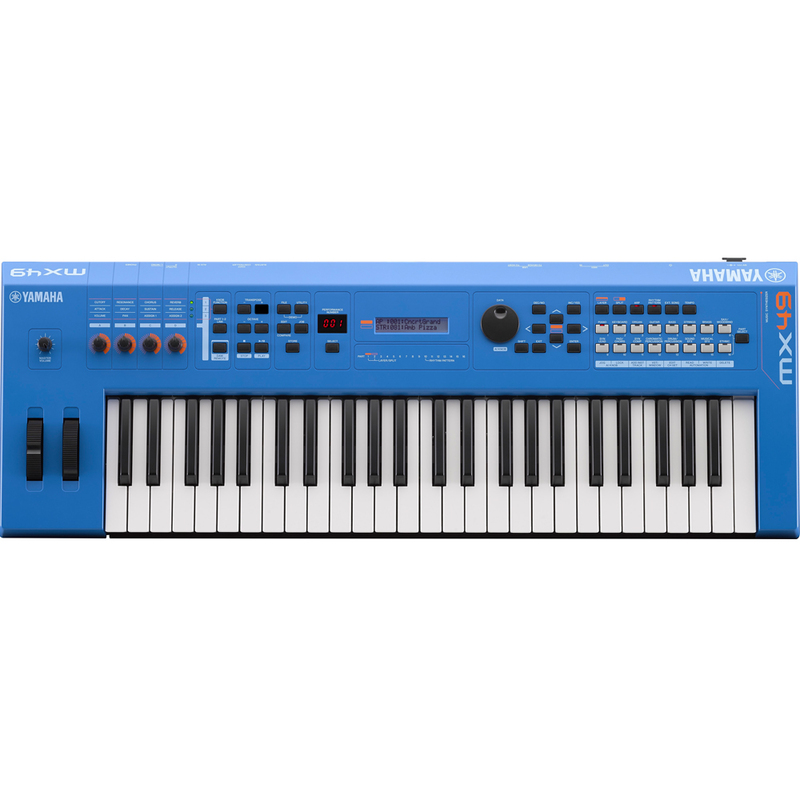 The MX Series contains more than 1000 Voices derived directly from the world famous and award-winning Yamaha Motif XS Synthesizer. From realistic acoustic sounds (piano, electric piano, strings, drums and more) to complex 8-element synth sounds, the MX has all of your favourite Motif XS voices right at your fingertips. Featuring a streamlined interface, the MX49 makes it easier than ever to find the voice you need. You can even edit and store your own sounds right. FM Essential packs classic Yamaha DX synthesis into an app for iPhone and iPad. Providing real-time synth control and editing, all the features of FM Essential are unlocked when you connect your MX49 Version 2. Find out more about FM Essential in the App Store. Performance Mode on the Motif has always been the place to find instant inspiration and the MX is no different. You can easily combine two Voices to play on the keyboard using the dedicated Split and Layer buttons each with their own intelligent arpeggiator and a dedicated Part for a drum track to create evocative Performances that feel like a whole band is playing. 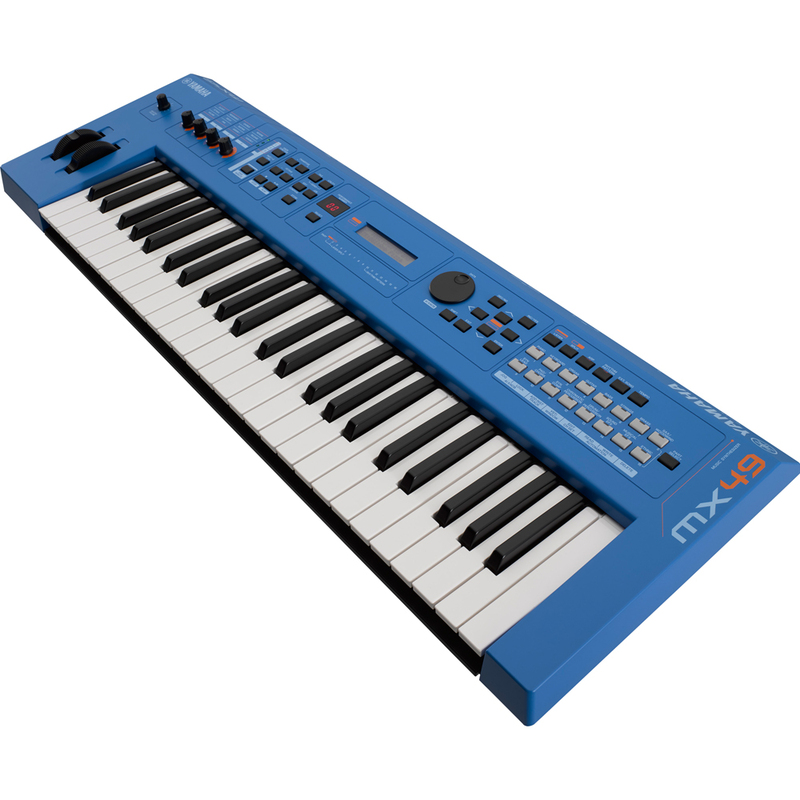 The 128 Performances on the MX are all user editable, but come programmed with the latest club friendly grooves. A MX Series Performance can give you a complete 16-Part multitimbral mix, allowing you to switch between any of the 16 Parts without the sound cutting off. With a massive 128 note polyphony, even the densest sequences from your DAW are faithfully played back, making the MX the perfect tone generator solution for live performance and live playback MIDI sequences. The MX also features solid knobs and durable buttons for controlling internal sounds, DAW parameters and VST instruments. The deceptively simple interface is combined with a remote template editor on your computer so any VST you own or any new VSTs you buy can be easily setup to be controlled by the MX. There are advanced integration templates for use with a variety of DAWs. When used with Cubase, there is even an AI knob so any parameter can be controlled by the large rotary encoder just by mousing over it. It's never been quicker to take full control of Cubase. And, if you don't already have Cubase at home, we've included Cubase AI to get you started. As well as providing hardware controls for your DAW and virtual instruments, the MX49 is a complete audio interface as well. Just connect a USB cable to your computer or iOS device to monitor all the sounds from your DAW either via the MX49's headphone output or listen to your studio mix by connecting the MX49 to studio monitors or a PA system. 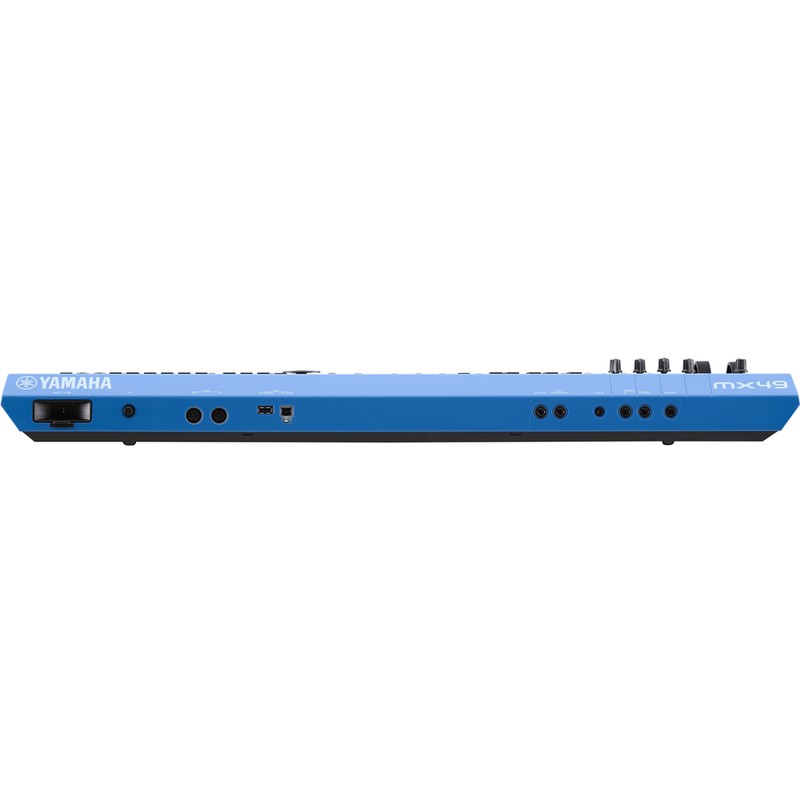 The audio converters on the MX are made for professional music applications so everything on your computer - even games - will sound better when using the MX as the output. The MX interface is bi-directional so you can record the internal sounds of the MX directly to your computer, without ever going to the analog domain, for the highest possible quality. The MX Series comes with a complete suite of music production software tools. Steinberg's superb Cubase AI gives you 48 audio tracks and 64 MIDI tracks, notation and built-in VST effects so, with just the MX and Cubase AI, you can already produce professional tracks. But we didn't stop there; we've also included Steinberg's Prologue analogue synthesizer VST and our own YC-3B organ emulator giving you an even greater sonic palette. In addition to Cubase AI for macOS and Windows, the MX49 will also unlock Steinberg's brilliant and suprisingly powerful Cubasis LE for iPad. The Bi-directional audio/MIDI interface and USB class compliant nature of the new MX Series greatly enhances the music production experience of Cubasis LE - and nothing beats the immediacy of producing on a touchscreen.